MALIJA is my current small group with the amazing Liam Noble on piano and Jasper Hoiby on bass. We formed the group as a result of an invitation to perform at the Rochester Jazz Festival in 2014 in New York and from the very first rehearsal we had so much fun and musical empathy. We had all worked together previously on my 2009 album In Deep but this time we decided to share the writing between us and explore a sound world without drums. It’s really hard to describe the music but I thought Jasper put it brilliantly when he described it as “weird, simple, complicated, free, tight, floaty, ugly, beautiful and heartfelt, depending on your mood”. Our debut album The Day I Had Everything was released on Edition in 2015. Our second album Instinct came out in 2016 (again on Edition), followed by a 21-date UK tour and concerts in Europe. Watch this space for upcoming gigs! OR Have a listen HERE. 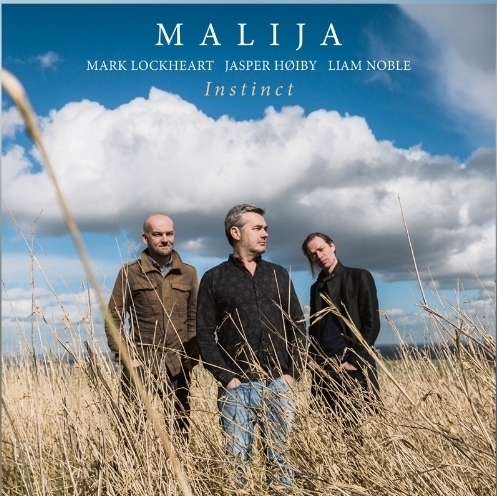 "Malija delivers the expected deliciously abstruse riches a-plenty, peppered with humour, melodic wit, irregular groove and a vivid descriptive quality"
"The pleasure of this trio in their close relationship is infectiously evident all over the set, beautifully played and often very spontaneous three-way postbop/world-folk conversation"
"The london-based equal partners trio Malija deliver lyrical chamber jazz with a strong pulse and fine-tuned sense of mood"
"The Day I Had Everything is another jewel in an increasingly valuable crown of Edition Records"
"Instinct's really handsome in its intertwindness of the songs and the musicians. Big album that will hit some rounds here"
"The real substance of Malija’s music often lies just below the surface. Instinct is an album whose secrets and subtleties become more and more apparent on subsequent listenings"
"All-star trio delivers meticulously crafted performances of new material...a cliché-free collection and a work of trenchant individuality...The outstanding recorded sound serves to complement the meticulously crafted performances"
"This album will forever magnify what is beautiful about new jazz"